Adam Blum gets down on one knee to propose. 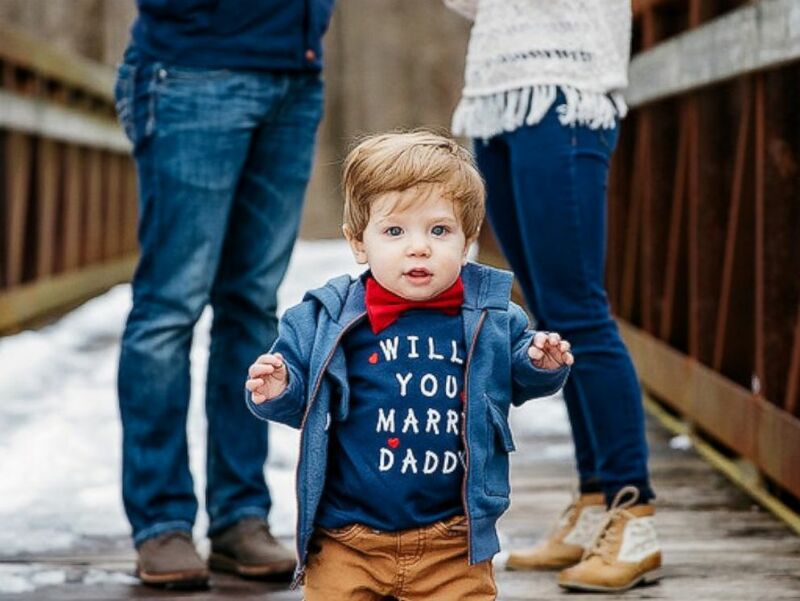 This cutie pie managed to help his dad pop the question without ever saying a word during a family photo shoot. Adam Blum and Hannah Roach pose with their one-year-old son. 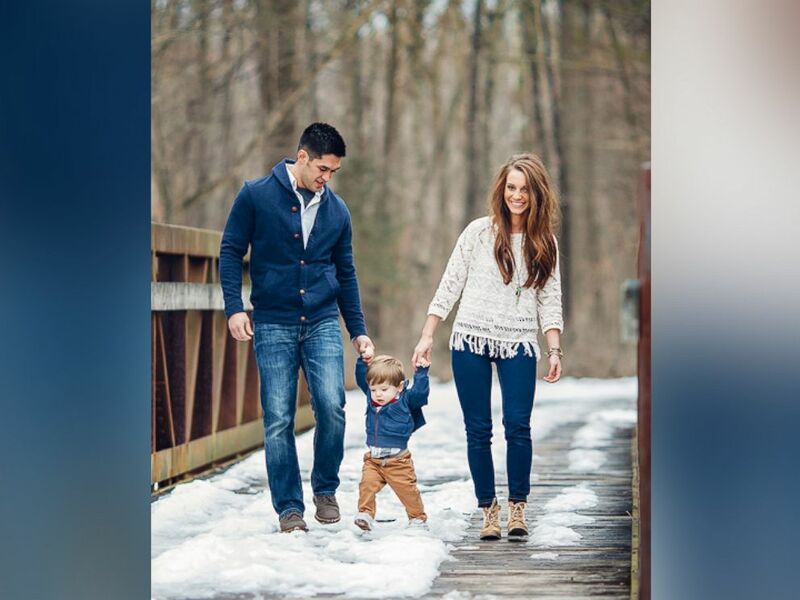 Adam Blum decided to take advantage of the opportunity of the pre-planned shoot to pop the question to the 13-month-old boy's mom and his fiance, Hannah Roach, of Cape Girardeau, Missouri. "Since the photo shoot is something his sister and I planned together, he knew I wouldn't have suspected anything," Roach said. "It was the perfect opportunity since all three of us would be there together." The t-shirt's message is revealed. But it wasn't long before she realized something was up. "I first realized what was happening when Adam told me to look at the shirt under Jace's coat," she said. "When I unzipped the coat I read his shirt, and obviously knew what was happening. Then he got down on one knee and asked me to marry him." The wedding is in May, Roach said, and Jace will "definitely be in our wedding. Most likely our ring bearer, and stand with us during the ceremony." Roach couldn't be happier to have captured the moment in pictures. "The fact that not only Jace helped his Daddy ask me to marry him, but that we have it so beautifully documented thanks to my future sister in law, is very special to me," she said. "I love that someday we will be able to show Jace these pictures and he will know how big of a part he had in that moment. "It is very apparent in the pictures how happy we are as a family, and how much we love each other."